Geez! I just thought fast food made you fat. 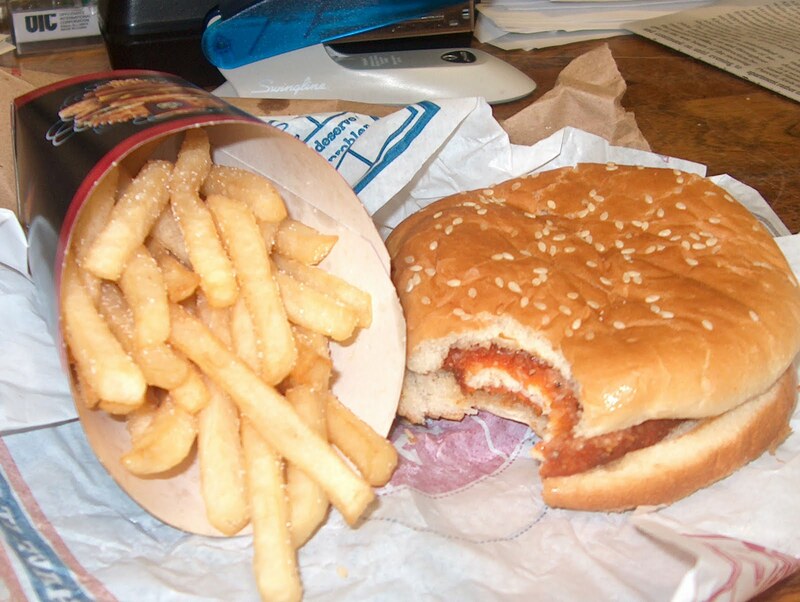 Now, Vandebilt University in Tennessee says that fast food makes you stupid too. Bummer. The researchers did a study which involved tracking what these 10 and 11 year old kids ate and how they scored on tests. How exactly they did that, I am not sure. In any case, they kept up with over 5000 kids and their food selections and test scores. Kids who ate fast food 3 times a week scored 7 points lower on reading than those who ate fast food less often. More fast food - lower scores. Similar results on math. I'd love to see the original data on this study. The writer who covered the story mentioned that School Food Trust (government funded) had suggested banning kids from leaving school at lunch time. And, this, I suppose, would cut down on kids eating fast food or junk food. Perhaps schools in Tennessee serve balanced school meals. Around here, the kids go get in the junk food line at school. The choices are either pizza or a fried chicken sandwich with a side of Tator Tots. Although I'm not a nutritionist, I'm not seeing how that's any better than a Big Mac and fries other than the school portions are skimpy, and I have to feed the boys again when they get home. Moral: Maybe school tests make you crave fast food. This is way too funny! I hope its not true :O), but I am stupid for good food!